Separate the recyclables at your cleanup Information on which types of roadside litter are acceptable for recycling. Also includes information on the benefits of minimizing the amount of trash which has to be sent outside the county to a landfill. Wondering what to do with all those plastic bags that accumulate in your home? 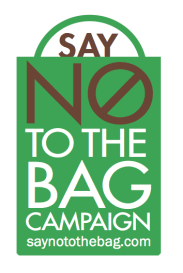 Check out www.ABagsLife.com for information on how to reduce, reuse and recycle plastic bags. Teplitz Metal Processing – For processing and recycling scrap metal (copper, stainless, aluminum, batteries) and automobiles (over 6,000 in 2014 alone!). How does a Materials Recovery Facility (MRF) work? Watch this video to see how a materials recovery facility works. This video shows a single stream facility. Our local MRF at Hillburn is a dual stream facility. KRB has nine cleartainers available for loan to event organizers who would like to provide receptacles for recycling bottles and cans. Just e-mail info@keeprocklandbeautiful.org or call our office (845) 708-9164 to let us know when you would like to pick them up. Go Green at Home! For Kids & Adults Going green is not just some kind of catch phrase that people around the world are using: It is a real way to save the planet’s environment and save your family money as well. Most people do not realize how financially beneficial it can be to learn how to recycle or conserve energy.